The downfall of Mahinda Rajapaksa regime is one of the most significant recent political events took place in the south Asian region. Even though Mahinda Rajapaksa was democratically defeated by citizens of this country on 8th of January, we can still see how Rajapaksa ideology is being functioned in the contemporary Sri Lankan society. Unlike other Sri Lankan political leaders, Rajapaksa was quite successful in creating die hard Rajapaksa follower base in every strata of the society. In this article, I identify few key social and political syndromes emerged as a result of the deeply rooted nature of the hegemonic rule of Rajapaksa and how our political context is still being dominated by some of these issues. Former President Rajapaksa was effective in using his rhetoric to emphasize the fact that the country is under severe threat caused by national and international agents even in the post war era. During his first parliamentary speech after defeating LTTE, he claimed that there are only two groups in this country here after as the people who love their nation and who do not love their nation. One would think this is an ordinary rhetorical act any leader would make in a war memorial speech. But that classification helped Rajapaksa to easily drag opposition parties like UNP. JVP and TNA in to the category of the people who do not love their motherland. The main ambition of his political propaganda was to maintain LTTE as the enemy in a context where they do not physically exist and create a fallacy that all his political opponents were trying to bring back LTTE to destroy ‘motherland’. He was tactical in driving bitter colonial memories in the minds of the people in to a more anti-western perspective by highlighting UN human rights council’s action on war crimes. On the other there were large hoardings of Rajapaksa and his wife with President Obama in the city of Colombo. But these hoardings were limited to Colombo area as he wanted to maintain his anti-western politics in the Sinhala Buddhist village context. This would not have been possible if media acted critically questioning paradoxical nature of his political actions and the way of treating political other. But it was clear that media was under severe threat and there was no space for democratic debate. Since Rajapaksa did not have proper social, political and economic agenda to govern the country, his political mission was to maintain popularity among Sinhala Buddhist majority by alerting that their survival is in danger without the existence of Rajapaksa. Slovenian philosopher Slovaj Zizek states that the contemporary functioning of racism is quite different from the history. Nowadays one would not say directly that I hate Muslim people. Instead he or she would say that Muslims are okay, but their food smell bad. It is quite evident that previous regime was utilizing those racist elements rooted in people’s minds to continue with their political project. When several Muslims were killed and there houses were destroyed by Sinhala Buddhist extremists motivated by groups like Bodu Bala Sena, military personnel were sent to rebuild those houses. The duties carried out by the military in Aluthgama was center of topic for media rather than bloody racist attacks. The nature of the social media activism of Rajapaksa followers is a good way to understand their political thinking patterns and the influence of Rajapaksa ideology in shaping their political acts. Since I have not done an empirical study on this one would question how can I present stereotypical views on their political behavior. But I think my observations as an active social media user and a scholar would be somewhat helpful to understand their political nature. As I discussed earlier, anti-Muslimism and anti-Tamil sentiments which were grounded in the political project of Rajapaksa campaign is quite visible in the Facebook posts of his followers. The High Court Trial at Bar’s recently convicted and sentenced Staff Sergeant Sunil Ratnayaketo death on Mirusuvil incident. Even though he was sentenced by the High court, pro Rajapaksa social media users narrated the story as it was a betrayal to the nation by the government. This was connected to President Maithripala Sirisena’s decision to release the girl who was imprisoned two years for damaging Sigirya mirror wall. They claimed that a war hero was sentenced to death while a Tamil girl was released under the directive of the President. But there were no discussion regarding the inhumane violent crime carried out by the soldier. Recently, I noticed that the national list nominations of the UNP was highly criticized in pro Rajapaksa campaign for the inclusion of a higher number of Tamil and Muslim candidates. They claimed that 50% of the nominees are not from the Sinhala Buddhist community. This is a clear indication of how Rajapaksa followers deny the inclusion of minority political representation. Homophobia and sexism are another deeply rooted characteristics in bring back Mahinda propaganda. When it was reported in the media that provincial Counsellor Malsha Kumaranatunge was not in favor of the campaign to bring Rajapaksa as the prime minister, several photos were shared claiming that was partying at a night club. Malsha is over 18 years old and she has all the rights to go to a night club. These posts were carried out with the narrative that her behaviors are against Sinhala Buddhist values and she is not suitable to be in the parliament. There is no better example to prove their sexist propaganda than the smear campaign against Hirunika Premachandra after she decided to support then candidate Mathiripala Sirisena. She accepted that she contested for the Miss Sri Lankan pageant a few years ago. We know that the contestants are required to wear some outfits during the contest. Even though there is no logical relationship between her political decisions and Miss Sri Lanka outfits, those photos were shared saying she does not hold a Sinhala Buddhist value system. Hirunika’s wedding took place recently and it was followed by posts that she has been pregnant for three months. These are the most inhumane comments one could make on a female and in a country like Sri Lanka these sexist comment could work because there are larger number of people who still believe women as a sexual object with a very little knowledge. Foreign minister Mangala Samaraweera and the UNP government was criticized by Wimal Weerawansa for voting in favor of gay rights in the recent United Nations summit. This was followed by Facebook protests calming some UNP leaders are gay and if they win the next election, our social and cultural value system will be destroyed as they are in favor of gay rights. I do not claim that former president is responsible for all these under developed thinking of a larger fraction of the Sri Lankan society. But his political project was centered and focused on extremists who hold racist, sexist and homophobic views. As I mentioned in the introduction, Rajapaksa’s categorization of the country was people who love their motherland and who do not love their motherland. I would like to offer a new categorization as people who would like to be slaves and who want to be free and independent citizens. *Krishan Siriwardhana is a graduate teaching assistant at the Ball State University, United States. 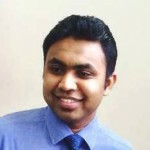 He worked as an Assistant Lecturer at the Journalism Unit of the University of Colombo.